Fire damper's are life saving bits of equipment fitted into ductwork systems that get fitted and forgotten until it is to late! Fire damper's are life saving pieces of equipment. 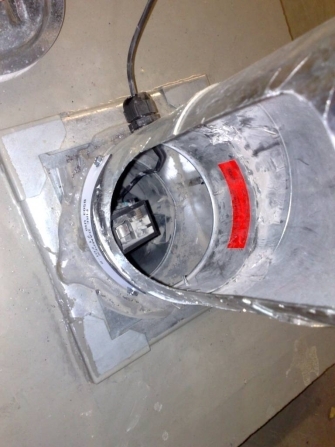 Fire damper's are as important as fire extinguisher's but are fitted and forgotten as there are no regulations in place to have them tested on a regular bases. 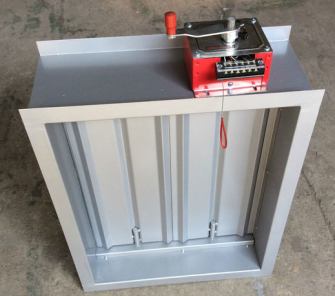 We have been manufacturing and testing fire damper's for over 25 years now and have come across fire dampers that have been held open with wood because maintenance engineers do not have the spare parts available to them to fix and it is important to have the fire damper open as it will be stopping any air getting past it. The picture on the left shows a fire damper that had a microswitch (black item) fitted to it that sent a signal to a panel. If you look at the wire it clearly shows it passing through the area where the fire damper blades will close, thus the wire would stop the blades from closing and allow the fire to pass the blades and move on throughout the building.